Whether you are an expert beekeeper or experimental crafter, Beeswax Alchemy is the best guide for anyone aspiring to make wellness-boosting treasures to keep or gift to friends and family. Petra Ahnert is the creative force behind Beehive Alchemy (beehivealchemy.com), an artisan soap, body care, and home goods business. After a serendipitous meeting with a beekeeper at the library in 2002, Petra soon had a couple hives of her own and extra honey to sell. Since that time, she has sought out ways to make good use of the extra wax, too, often replacing items in her home with ones she can create herself. 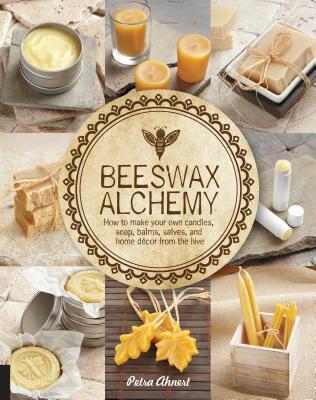 Eventually, these beeswax-based items made their way into the product line-up for Beehive Alchemy and the projects featured in her book, Beeswax Alchemy.